The Defiance branch of Ohio Monuments was established in 1972 by Floyd Melia and Pat Weber as Defiance Memorials and was the source for memorial monuments for them. 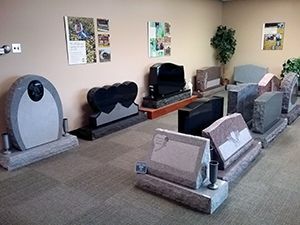 We expanded our business in 1998 when we joined the Rock of Ages family; then Ohio Monuments. 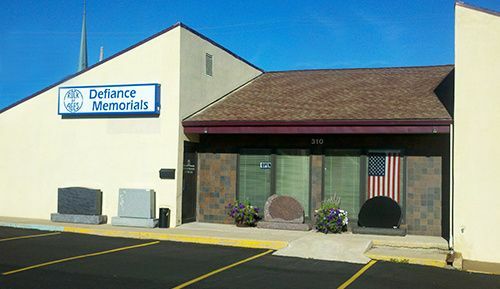 Since then, we have continued our close relationship with the Defiance area, continuing to be its hometown monument company. But now, we have expanded our services to better serve the families in this community. As Rock of Ages memorialists, we provide you with knowledge, experience and dedication. 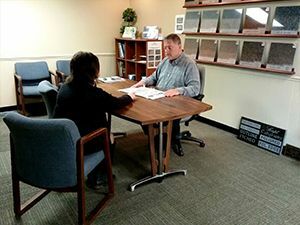 We understand that creating a personal memorial may be unfamiliar, so we continue to offer our personal service and capabilities. We would be glad to visit you in your home, or, if more convenient, welcome you to our studio.